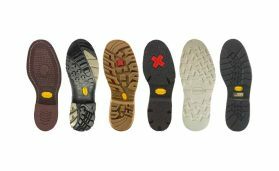 When you have to choose your safety footwear a big doubt comes out, what type of outsole should you choose? 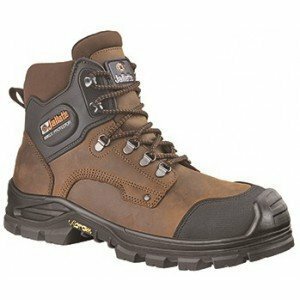 What is the difference between the different types of outsoles for your safety footwear? You know that the legislation on safety footwear helps to prevent damages caused by different types of accidents; but also learning more about the technical plus invented by the manufacturers will help you a lot. In this article I’ll explain to you technically what to do if you need safety shoes but you don’t know what type of outsole you might choose. I bet you’ll be surprised by how easy it is to find the right product for yourself! 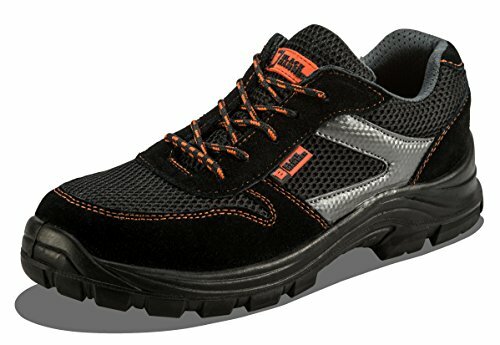 You work indoor and you need the most comfortable and light safety footwear? 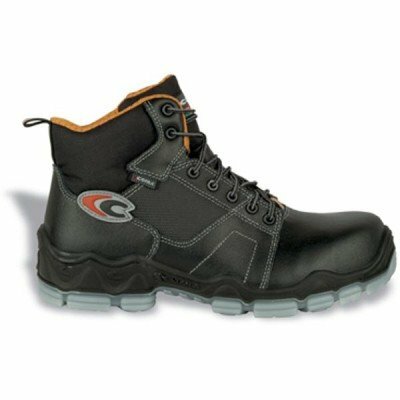 You work in the general industry, indoor and outdoor, and need safety footwear that is at the same time light and durable? 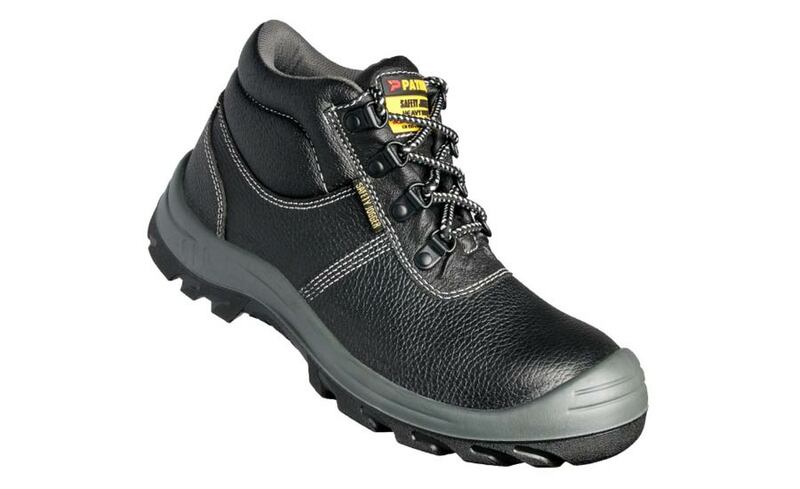 You need safety footwear with a good grip, and a good flexibility? You work in heavy industry and need resistance to acids and heat? 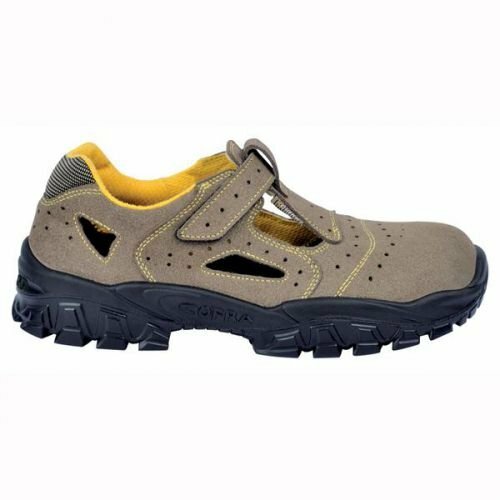 There’s a huge variety of work situations and you need to choose, let me explain technically what exists on the market, what technical specifications you have to look for to find the perfect type of outsole for the safety footwear for your needs. Soles can be cemented. In this method, the upper and the outsole are glued together with a very strong adhesive. The outsole is made previously, in a separate process. It will be then glued to the upper of the shoe. This is a much easier method of production but also slower. This type of production allows to glue all different kinds of materials, whereas not all materials can be injection molded. 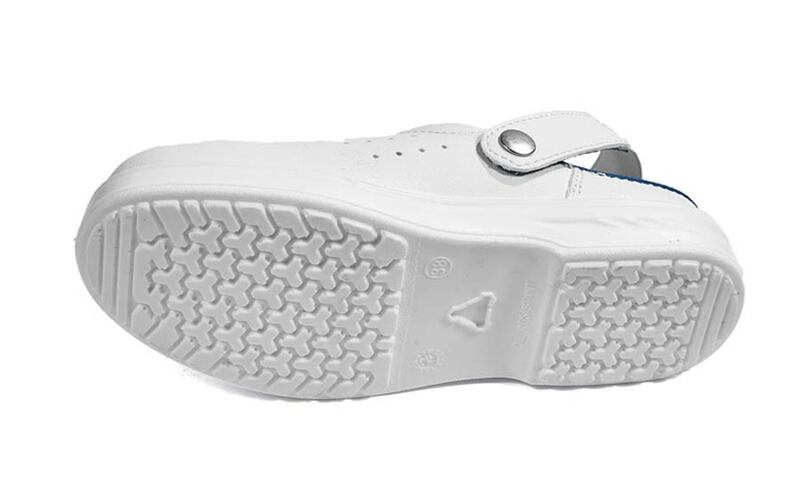 Another method of production is injection molding of the soles to the upper. In this method the upper is placed in a mould (usually made of Aluminum or Teflon and the design of the sole will depend on the design of the mould) in which the outer sole is attached to the upper by an injection of a plastic material (usually PU) and after the injection it has to cool off. After the injection and during the cooling time, the upper and the outsole bind together very strongly. Another method of production is vulcanisation of the soles to the upper, it is used with rubber outsoles. In this method the upper is placed in a mould (usually made of Aluminum or Teflon) in which the rubber sole is melted at about 165 degrees and after it has to cool off. After the vulcanisation and during the cooling time, the upper and the outsole bind together very strongly. Soles can also be sewn (mainly with the Good Year welt method invented in 1869 by Charles Goodyear, Jr.). This method is the most complicated and normally it is used for casual footwear, in fact it is used less and less in safety footwear for reasons of cost and efficiency. Now that you know more or less the different types of construction, let’s go to the different types of outsoles for your safety footwear. 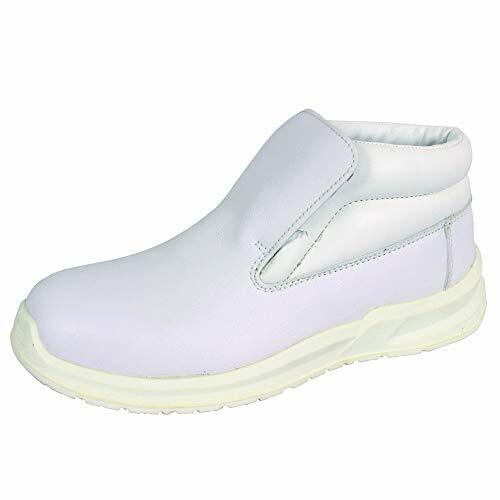 PVC is a thermoplastic material generally found in rubber boots, the outsoles made with this material usually have very good resistance to strong chemical agents like acids. It has good cold resistance from -5 to max -20 degrees but not really to high temperatures, maximum 100 degrees. It has very high resistance to hydrolysis so the storage longevity is high. It has an abrasion resistance of about 180/200mm3. The slip resistance is not great compared to other materials for outsoles. PU MONO (SINGLE) DENSITY. (generally an injection molded outsole) PU is the abbreviation for polyurethane. It is a material with a very low weight and a good comfort. It has a good resistance to chemical agents and hydrocarbons, but no resistance to strong acids. The resistance to extreme temperatures goes from -10/-20 to +130 max 140 degrees . The average loss of weight is about 100/160mm3 for single density polyurethane. Its softness gives this material a good grip, giving it a slip resistance similar to TPU and rubber. RECOMMENDED USAGE: indoor and not very aggressive work places. PU/PU: (an injection molded outsole) is a double-density profile sole made of PU. It can withstand hydrocarbons, but not strong acids. The resistance to temperatures goes from -10/20 to 120 max 150 degrees . The average loss of weight is about 60/80mm3 for single density polyurethane. It is antistatic and has acceptable slip resistance. 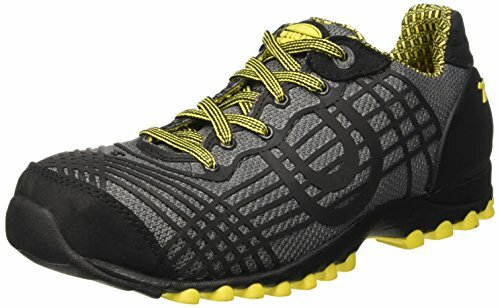 The soft PU midsole provides good impact absorption and wearing comfort. RECOMMENDED USAGE: indoor and outdoor, not really suggested for contact with chemical agents. PU/TPU: (an injection molded outsole). TPU, thermoplastic polyurethane is a special type of polyurethane (PUR/PU). It is particularly sturdy, abrasion-resistant and flexible. It is made from a granulate that is formed thermally, not like PU that is made from two components that react together. TPU therefore provides higher performance: abrasion resistance, slip resistance at a very good level like the single density PU and the rubber, flexibility. It can be made in all possible colors including translucent colors. In the average it is more durable than PU and it has higher resistance to the cold (from -5 up to -20 degrees). Not very resistant to high temperatures (maximum 100 degrees), the abrasion resistance is about 50 to 80mm3. RECOMMENDED USAGE: indoor and outdoor, cold weather, not really suggested for contact with hot surfaces. MONO DENSITY RUBBER: (generally an injection molded outsole). Rubber actually consists of vulcanised caoutchouc (vulcanized elastomers). Caoutchouc is produced from the latex collected from caoutchouc trees. Non-vulcanised caoutchouc stinks and is not resistant to cold temperatures, so it is submitted to a vulcanisation process which makes it very resistant. Additives like nitrile give the compound some other technical properties, like heat resistance. 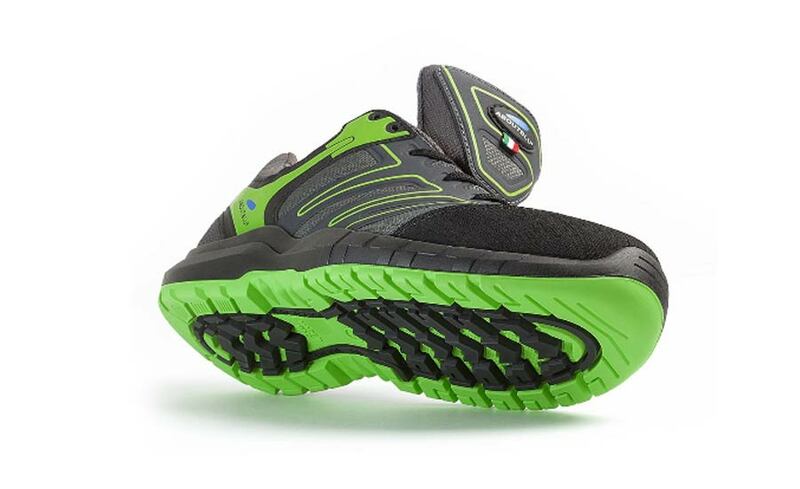 So, rubber outsoles are exceptionally sturdy: temperature-resistant from -30 up to 300°C, hard to penetrate from sharp objects and resistant to fuel, oil, microbes and numerous chemicals. However, rubber is heavier than PU and TPU, and is less flexible when submitted to cold temperatures. The abrasion resistance of rubber is from 100 to 130mm3. Another great characteristic of the rubber outsoles is the very low hydrolysis so its storage longevity is higher than that of the other materials. Rubber outsoles are also known for the great slip resistance, comparable to that of single density PU and TPU. RECOMMENDED USAGE: indoor and outdoor, in contact with hydrocarbons, chemicals, acids. If HRO certified, it is also recommended for contact with hot surfaces. 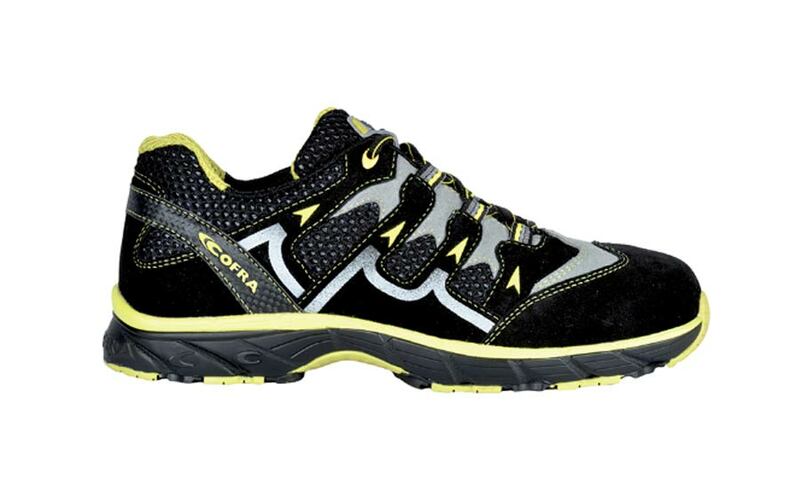 It is a compact and heavy material so it is not the best choice if you need extremely light footwear. PU/RUBBER: (generally an injection molded outsole). 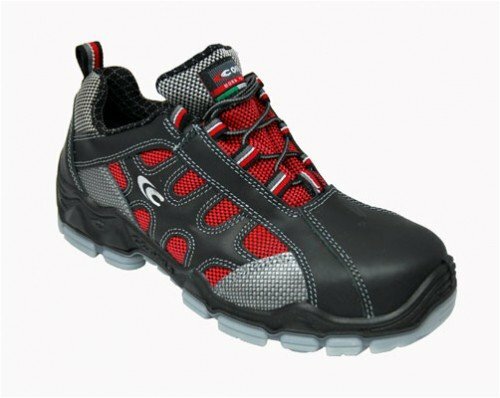 Keeping the properties of rubber for the outsole, in this type of outsole the midsole is of PU so the footwear is lighter. The PU in this case is the weak point in the toughest situations where rubber’s performances are better. RECOMMENDED USAGE: indoor and outdoor, in contact with hydrocarbons, chemicals, acids. If HRO certified, it is also recommended for contact with hot floors. It is a compact and heavy material, so to make it lighter it is joined with PU. EVA/RUBBER: (generally a cemented outsole). EVA (Ethylene vinyl acetate) is an insulating foam that does not absorb water. 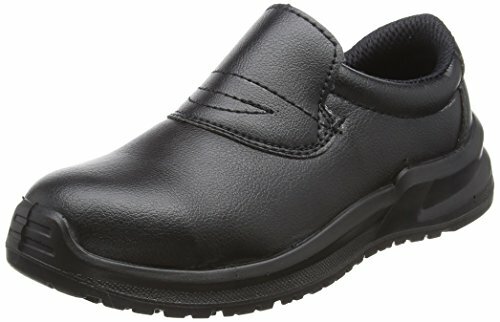 EVA is elastic and tear- and slip-resistant. When used to make shoes, EVA is used as cushioning material in the midsole. It is possible to appreciate the EVA material in sport shoes, being it one of the lightest plastic materials for midsoles. 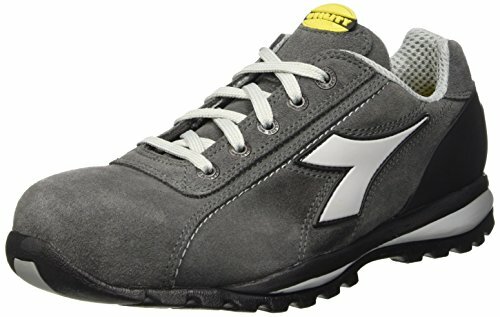 However, nowadays EVA is also used for creating midsoles in safety footwear, placed in cemented outsoles between the upper and the outsole (usually rubber). RECOMMENDED USAGE: indoor and outdoor, in contact with hydrocarbons, chemicals, acids. If HRO certified, it is also recommended for contact with hot floors. It is a compact and heavy material, so to make it lighter it is joined with EVA. 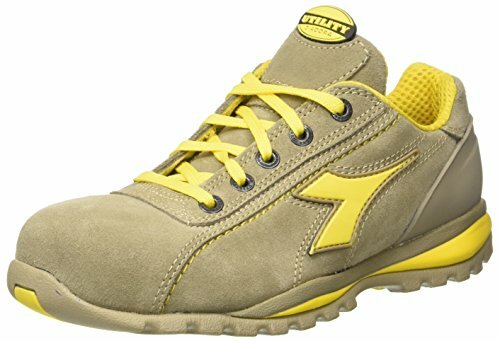 These are the outsoles and recommendations that I suggest when you’re looking for the best type of outsole for your safety footwear. 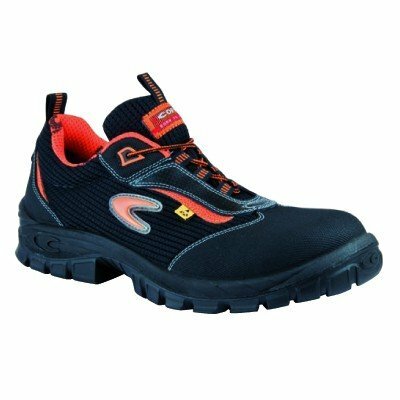 Once you’ll have selected the safety shoes with the right type of outsole, you’ll be more protected at work. 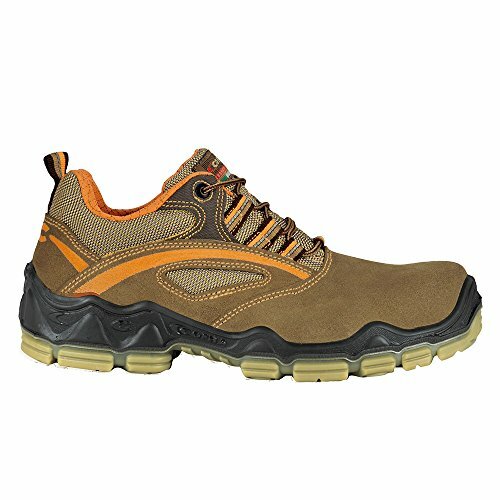 I promise that if you use the right type of outsole for your safety footwear, you’ll live a better working experience. 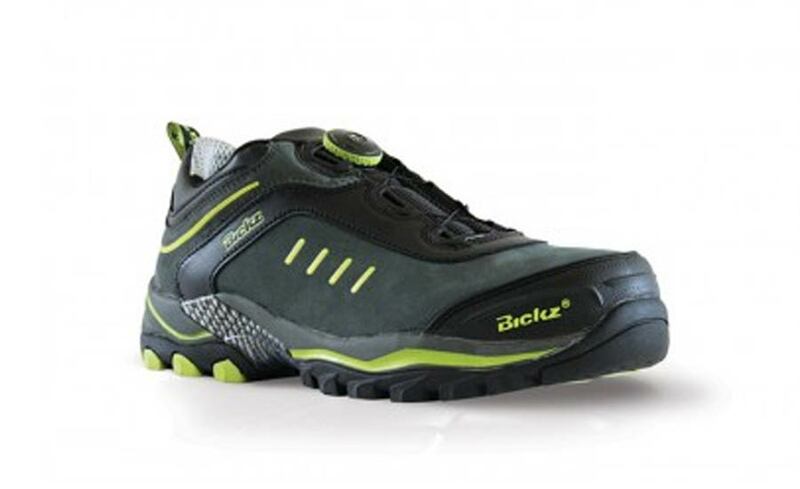 What do you think about the right type of outsole for your safety footwear?